Dr. McAuley is a 1982 graduate of Tupelo High School. He obtained a Bachelor’s degree in biology from the University of Mississippi in 1986. He earned his medical degree from the University of Mississippi in 1990. 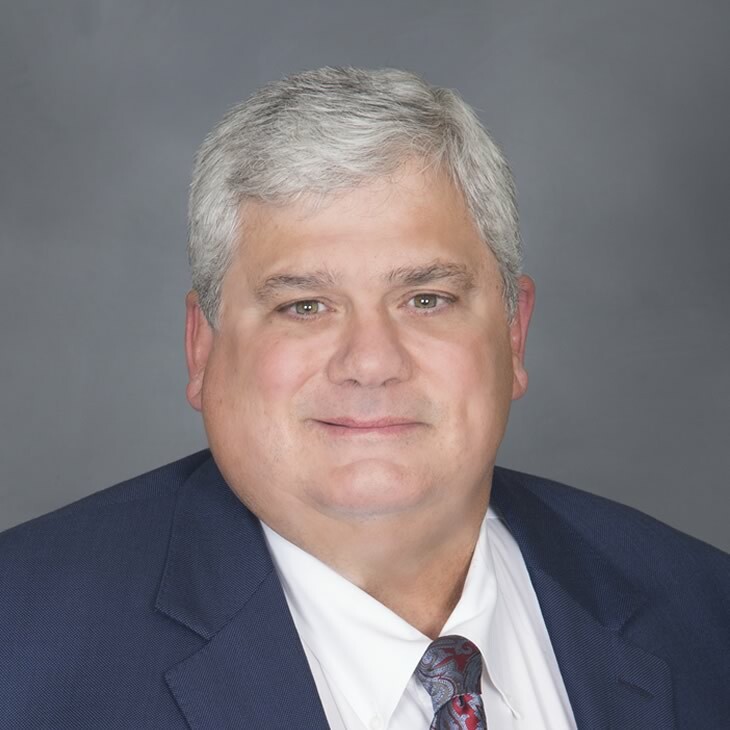 Dr. McAuley completed an internship in general surgery in 1991 at the University of Mississippi Medical Center, where he also completed his otolaryngology residency in 1995. He was an assistant professor at the University of Mississippi Medical Center in Jackson in 1996. Dr. McAuley then obtained his neurotology fellowship at the California Ear Institute at Stanford in 1997. Dr. McAuley is a member of the Mississippi State Medical Association, Alpha Omega Alpha Medical Honor Society, and a fellow in the American Academy of Otolaryngology Head and Neck Surgery and board certified in Neurotology. He currently serves on the board of Sanctuary Hospice House. Dr. McAuley is an active member of Gloster Street Church of Christ. His interests include sports and hunting. He and his wife, Kim, have 3 children, Michelle, James Rieves, and John. For an appointment with Dr. James McAuley, call ENT Physicians toll free at 877-944-6513.